Persons interested in trying competitive shooting for the first time can read the following in order to better understand what is involved in competitive score shooting and how a match is conducted. 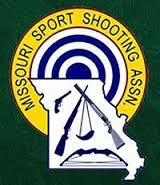 See our match schedule for Hunter Rifle/Varmint for Score dates. This is when we shoot Factory Rifle competition. At our club we shoot 3 classes of score shooting all at the same match. We shoot NBRSA Varmint for Score, NBRSA Hunter class for score and we shoot a “factory” rifle class for score. 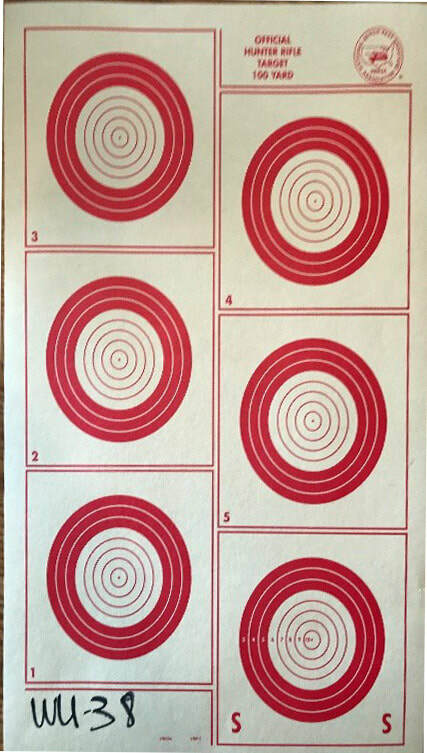 Course of fire - A competitor has 7 minutes to shoot his/her target, during that time period he can shoot as few or as many shots at the practice bull (called a sighter bull, lower right bull-see target photo) but must have one shot in each of the remaining “record” bulls. The 10-ring on the 100-yard target is ½ diameter and the 9-ring is 1 inch diameter and etc. As long as your shot touches the ring you will receive the score of that ring. Theoretically if your rifle is capable of grouping around ¾ inch groups you can hit the 10-ring. All competitors shoot from sandbag type rests. A Varmint for Score rifle is described in the NBRSA rule book but the basics are as follows: A Varmint for Score rifle is a rifle that cannot weigh more than 13 ½ pounds including scope, the stock should have a flat or convex forearm not more than 3 inches wide. The barrel cannot be less than 18 inches long, not have a straight section of longer than 5 inches (measured from the bolt face) and a diameter of 1.250 inches tapering to .900 at 29 inches long. No scope power limitation. 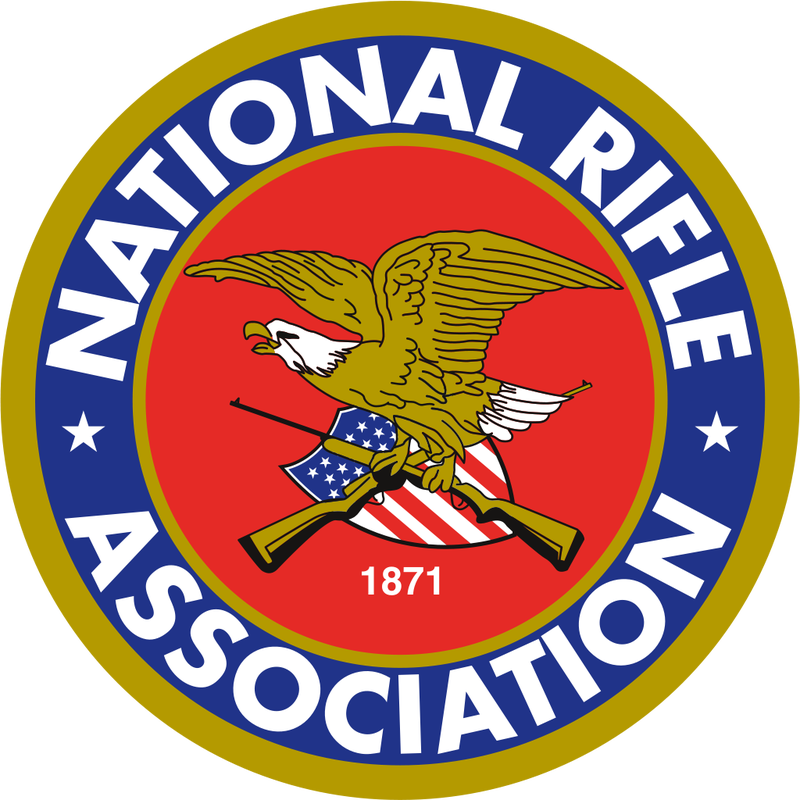 A Hunter Class rifle is described in the NBRSA rule book but the basics are as follows: A Hunter rifle stock must not be over 2 ¼ inches wide and be convex on all bottom surfaces of the stock. Bolt action receivers must be no wider than 1.400 inches and no longer than 10.25 inches. Custom re-barreling is permitted. The barrel shall have a diameter of not more than 1.250 for 4 inches in front of the bolt face and would taper to a diameter of .750 diameter at 26 inches from the bolt face. Original factory issue barrels need not meet these specifications. Glue-ins are not allowed. Bore diameter can be up to .338 and case capacity is not limited. Magazines shall not be required, but receivers must be cut out for a magazine. Scopes must be 6X or less. Variables are allowed but must be set at 6X and taped. Rifle and scope not to exceed 10 pounds in weight. Falling Block/Rolling Block single shot rifles will be allowed in Hunter Class competition. Factory Class. 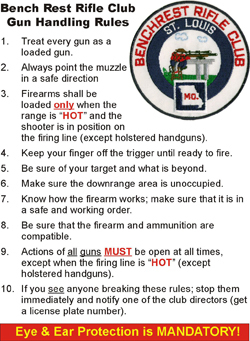 Arrive at range 45 minutes to one hour before advertised start time, this is due to the need to register, draw for a bench and get your rifle set up on the bench. At our club in factory class we shoot 6 targets at 100-yards, the first target is actually optional as it does not count toward your score- we call it a “warm-up match” and it is for you to get your scope adjusted to help you be better prepared for your next target which will be your first of 5 record targets and all 5 record targets will count toward your score. A Factory Class Rifle is very similar to a rifle that many of our club members already own and maybe use for deer hunting, see description below. Generally, competitors use calibers such as 22-250, 25-06, 223 and a 308. A spotting scope is very desirable since they are often in the power range of 25 to 40 power which makes it very easy to see exactly where that last shot impacted and helps you decide where to hold for the next shot. A total score for the 5 record targets will be your final score. About 50 rounds of ammo is needed and will take about 2 ½ hours. Stocks must not be over 2 ¼ inch wide and convex on all bottom surfaces of the stock and must be of a hunting style, not a Bench rest style stock. The stock can be synthetic material or wood. No re-barreling or setting back a barrel is allowed. A factory barrel can be re-crowned. Bore diameter can be any caliber up to .338. Replacement triggers are allowed but must be of a hunting weight of pull-no 2-ounce triggers allowed. Scopes must be 20X or less. Variable scopes must be taped at 20X or less. Falling block/rolling block single shot rifles will be allowed. A factory rifle cannot weigh more than 13 pounds including the scope.